As a member of the JHI Group of Companies, Janotta & Herner has full access to the resources provided by our partner companies. 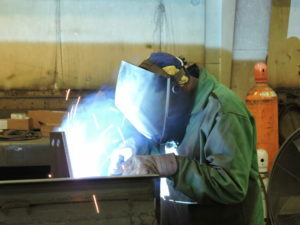 This includes the steel fabrication capabilities of Firelands Fabrication, located in New London, Ohio. From industrial access platforms to complete conventional steel buildings, Firelands Fabrication is capable of producing almost every steel component required for your construction project. Firelands’ steel fabricating capabilities vertically integrate with Janotta & Herner, creating a multitude of efficiencies in our building process. Our Design Department works directly with Firelands’ Draftsmen to develop custom solutions for every construction project where steel work is required. This unique relationship allows us to control product quality, delivery schedule and price; providing a greater value to our Clients.